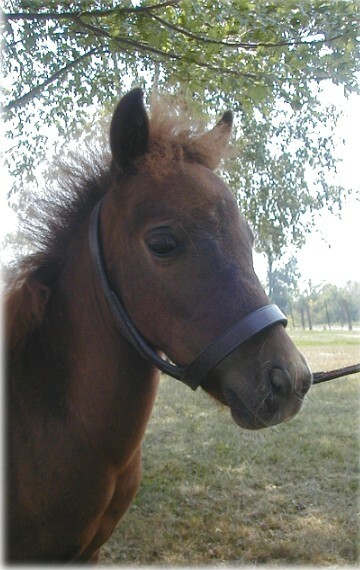 Cayenne is a beautiful chestnut colt with his mothers small Arab dish head and fine bones. 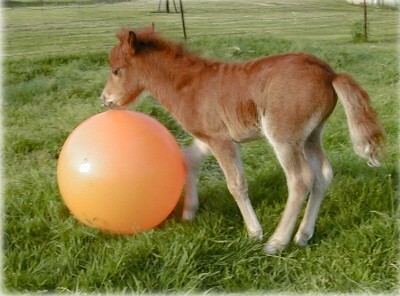 He is a very friendly and curious colt; he does not spook at objects and loves to play with his beachball. Cayenne will be retained as a potential show horse and should do very well at obstacle because he is already practicing! 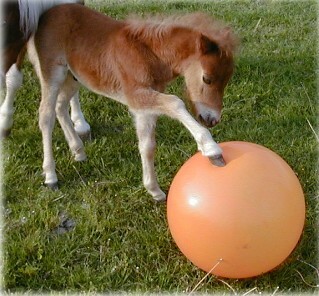 When he matures, he will be trained for driving, both single and as a team mate with his brother Strongs Chili Pepper. Cayenne is a participant in our Haldimand County Miniature Horse 4H Club.